Nothing dresses up your car like 304 grade stainless steel chrome accessories. Besides adding style; our products do protect your original parts from unpleasant scratches too. Please compare our quality with other sellers. Our difference from most of other sellers are our stainless steel item is made from 304 grade stainless steel and it means that the item has the highest quality, durability, and temperature resistance. This item is made from 304 grade stainless steel chrome material. 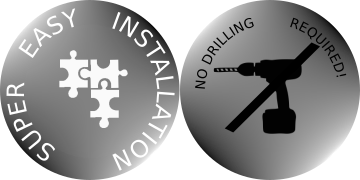 Does not contain any plastic, never rusts, has ultimate durability and climate resistance for all US conditions. As well as adding a stylish look, they also add value by protecting your original parts and their paintwork from unpleasant scratches too. Please check out our other products; you will find lots of options for your vehicle. 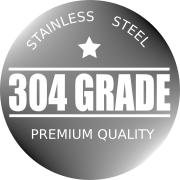 Why 304 grade is the best quality in stainless steel accessories? "Air bag sensors, appliances, beer barrels, chemical equipment, clamps, cooling coils, cryogenic components, dairy equipment, evaporators, food handling equipment, hinges, hypodermic needles, nuclear vessels and components, oil well filter screens, pressure vessels, sanitary fittings, shipping drums, textile dyeing equipment, motors, marine, sinks, luxurious yachts, helicopters, trains, milking machines, containers, homogenizers, sterilizers, storage and hauling tanks, including piping, valves, milk trucks and railroad cars..."
When it comes to stainless steel, even though people often assume that 304 grade stainless steel is heavier than 430 grade, there is no difference between their weights. Additionally, 304 grade contains more nickel, and it lends itself to more stylish and shinier surface. 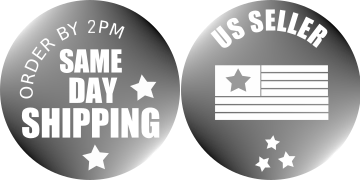 Ultimately we would like to mention again that we will be shipping your orders from here in the US.